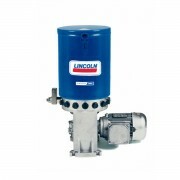 Lincoln multiline and progressive - The system will continue to operate as long as the pump is in operation. When the pump is turned off, the progressive metering device will stop in its current position. Upon restarting, the progressive metering device will carry on where it left off.